When a vehicle is as well loved as the Honda Accord over a period of decades, you have to assume there’s a good reason for it. With the Accord, there’s more than just one. This superstar sedan in the Honda lineup has a list of awards and accolades that vouch for its quality in everything from safety to value, reliability to all-around excellence. If you’ve done any research at all into the midsize sedan automotive segment, you’ve run across the Accord more than once. That’s no coincidence; that’s because it truly is one of the best options out there. And because it’s a Honda, you can count on the brand’s legendary reliability and lasting value to make the Accord an even better buy – particularly for those who are looking for the lower price they can get by purchasing a pre-owned model. Stick to a late model year and you’ll still get the Accord advantages – namely, plenty of features, a spacious and comfortable cabin, and advanced safety – for less. At Fernandez Honda, we stock a huge variety of high-quality pre-owned vehicles in our used inventory, and you’ll find more than a few Accords among them. Drivers in San Antonio and surrounding areas know that Fernandez offers an excellent selection, and when you combine that with our unbeatable customer service, low everyday prices, and special offers and incentives on used vehicles we have in stock, you’ll see why so many Texans turn to us when they want a great deal on a great car. Visit us today and ask to see our used Honda Accords. We will be happy to help you navigate your options and put you behind the wheel for a test drive so you can see for yourself why so many people adore this long-lived sedan. Since its 1970s debut, the Accord has been winning fans with every new model year. When you set out on your search for the perfect used Accord, we suggest starting with a more recent incarnation to see just how many premium features and how much modern appeal you’ll get for far less than you would pay for a brand-new model. Take, for instance, the 2017 Accord. It offers a host of desirable features and amenities, a stylish and modern exterior, a plush and comfy cabin, and all of the good things you’d expect to be built right in to such a high-quality vehicle – safety, durability, reliability, and more. Among the six available trim levels of the 2017 – the LX, the Sport, the Sport SE, the EX, the EX-L, and the Touring – you’ll find such cutting-edge features as dual-zone automatic climate control, Bluetooth technology,* and a USB port as well as available upgrades including Apple CarPlay / Android Auto integration, HD Radio, and a seven-speaker premium audio system. Honda prioritizes safety in all of its vehicles, and that’s why the Honda Sensing suite of advanced safety and driver-assistance features is either standard or available on all 2017 Accord trims except for the Sport SE. With this package equipped, you’ll get the added protection of systems like collision mitigation braking, lane departure warning, lane keeping assist, adaptive cruise control, and much more. What are you waiting for? At Fernandez Honda, our high-quality used vehicles don’t stick around for long, so go ahead and browse our selection online to get an idea of what we have in stock and to see if any of our currently running special offers can be applied to your used Accord purchase. Then head to our San Antonio dealership and tell one of our friendly sales associates which models on our lot you’d like to take a closer look at. We’ll take it from there. Why Buy a Used Honda Accord from Fernandez Honda? Car shoppers in the San Antonio, Floresville, and Helotes, TX, areas know that Fernandez Honda offers some of the best cars and some of the lowest prices around. They also know that when they become one of our valued customers, they’ll get nothing but the best service throughout the car buying process. Our sales associates and financing experts are there to make sure that you have an easy and enjoyable experience with our dealership, from the shopping to the financing and even maintenance and repair for years down the line. 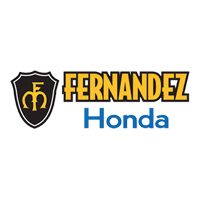 Visit us today and let us show you the Fernandez Honda difference.